Courtesy of Jim Robertson, OCF Realty LLC. 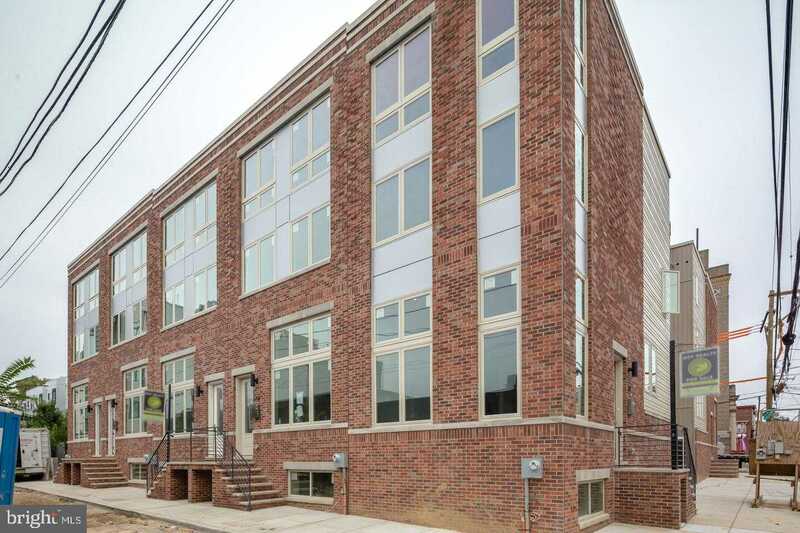 FANTASTIC New construction homes offered just off Fairmount Avenue in Francisville neighborhood of the city. This 10 townhouse development project has a shared driveway and carport in the rear of each home in an area where off-street parking is rare! Enter through the front door of this home into the sunken living room area that features ceilings over 15′ high. The large windows at the front of the property allow for tremendous light and have great views of the skyline. Go up the open staircase design to the kitchen/dining area complete with stainless steel Samsung appliances, quartz counters, custom tile backsplash, and a glass partition that separates the kitchen from the living area. There is a half bath located conveniently to the side of the kitchen as well. The second floor features 2 bedrooms with very large closets and a full bathroom with custom tile and floating vanity. The third floor is a master suite with walk-in closet. The full bathroom has a custom tile stall shower with frameless glass shower doors and a dual vanity. The roof deck has beautiful city views and has a wet bar with a mini fridge to store food and drinks while entertaining guests. Basement is finished with a generous living space featuring 9 foot ceilings and washer/dryer room. Other features in these homes include custom metal fabricated railings, glass plate half wall, recessed lighting fixtures, 2 HVAC systems with 2 thermostats for temperature control and energy savings. Close by coffee shops, restaurants, bars, and everything Fairmount avenue has to offer including major transportation routes. This is an impressive project in a great location!